Goyum Screw Press is a leading manufacturer & exporter of complete range of Oil Mill Machinery such as Oil Expellers, Cooking Oil Refinery Plant, Solvent Extraction Machinery, Animal Feed Making Plant, Seed Processing Machine, Filter Press Machine, Boiler, Material Handling Equipment & Oil Expeller Spares.Our production capabilities and decades of experience in the field enables us to manufacture products that comply with market standards and specifications. Incepted in 1971, the company soon entered into the field of manufacturing high capacity expellers of international quality. Coupled with experience and technical know how of various processes such as manufacturing, assembling and installation allows us to handle the complete projects and to offer end to end solutions. As a policy, we constantly upgrade the quality of our products to meet the requirements of our customers. Manufactured with precision, all our products & machine are steel fabricated and hence provides long service life. With our expertise in the field, we have been able to serve our customers with high quality of oil mill machinery and have contributed to the development of industries by designing products, such as - GOYUM -1500 L.C. (for high capacity Oil Millers). At Goyum, quality is our specialty, and hence all our machine are manufactured following the most stringent quality control norms. 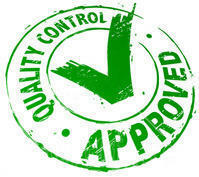 In order to ensure superior quality of products, we carry out several quality control tests and inspections during the various stages of production and delivery. All our products comply with international standard of quality and hence these machine have a reputation of being of robust construction, versatile and operationally profitable. We are a professionally managed company headed by team of expert technocrats, businessmen and managers. The team consists of manufacturing personals, on site engineers, servicing staff, design engineers and more. Each of our team members are specialized in their field and work in coordination with our clients to meet their specific needs. Our Screw Presses / Oil Expellers are used for extracting various types of seeds such as Rapeseed, Sunflower, Cotton, Groundnut, Palm Kernel, Sesame, Coconut, Castor, Neem, all kinds of edible and non-edible seeds etc.